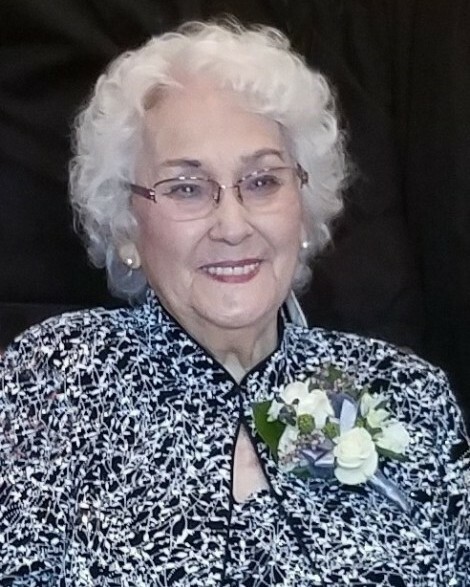 Hortencia Pena Benavides, 90, dearly beloved mother, grand, great and great-great grandmother passed away on August 31, 2018. She was born to Cosme Garza Pena and Delfina Ramon Pena on February 14, 1928 in Runge, Texas. She lived most of her life and raised her family in Robstown. She also lived in Corpus Christi, Hebbronville, Fort Worth and Taylor, Texas. She was an ardent Texas Ranger’s fan. She would be glued to the TV whenever there was a game. She even knew all the players’ names. She also loved playing the card game SKAT with her Fort Worth lady friends and family. She goes home to be with the Lord and reunite with her loving husband of 59 years, Horacio Lopez Benavides, cherished parents, daughter, Cedelia, sisters, Otila P. Garcia, Eva P. Flores, brother, Ricardo R. Pena and grandson, Alexandro Benavides. Survived by her devoted sons, Alfredo (Eva), Bryan (Carmen), Carlos (Isabel), Daniel (Victoria), Eduardo (Joseph), Felix (Monique), grandchildren, Bryan A., Roxanne (J.P. Montgomery), B. Amanda (Juan Moreno), C. Ryan, Melinda (Matthew Paul), Alan, Lilia, Joseph, Gabriela, Bradley, Sean, Leonardo and Vanessa (Andrew Hoene), Great-grandchildren, Chaz, Joshua, Clay, Chelsea, Michael, Mia, Jake, Jaclyn, and Salvador. Great-great grandchildren, Ryann, Mason, Chance, Brianna and Emily. Other survivors include many family and friends. Visitation will be held from 5:00 p.m. to 9:00 p.m. on Friday, September 7, 2018 at Seaside Funeral Home Chapel. A Rosary will be recited at 7:00 p.m. that same evening. A Funeral service will be held at 10:00 a.m. on Saturday, September 8, 2018 at Seaside Funeral Home Chapel. Interment to follow at Seaside Memorial Park. Hortencia, beautiful and kind, will always remain in the memories and hearts of all who loved, respected and treasured her.